on canvas, and delivered to St. Mary’s Cathedral in the Archdiocese of Miami. 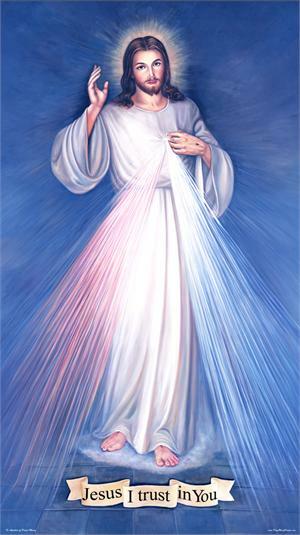 "most beautiful Divine Mercy painting he's ever seen." The detail and clearness of this image is unmatched.